The Capi Lux Arc is, as the name suggests, inspired by contemporary architecture. A perfect combination between minimalistic and grand. 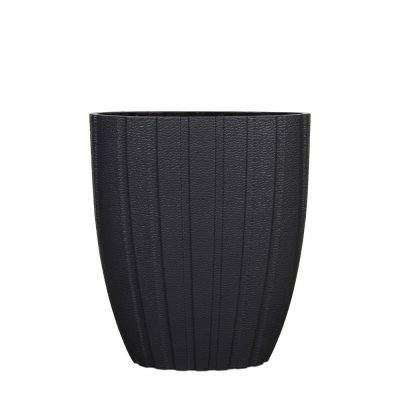 The planters are available in two basic colours, white and anthracite. 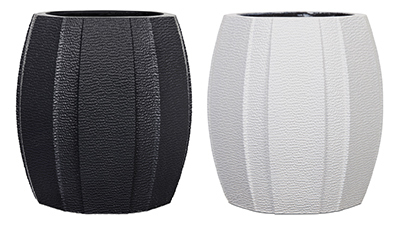 The two colours make it easy to combine these pots with every interior. Use different models for a playful effect. 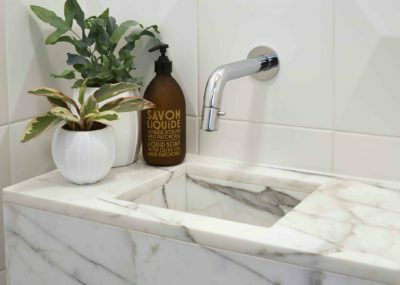 Create nice corners in your home with different heights, models or textures. 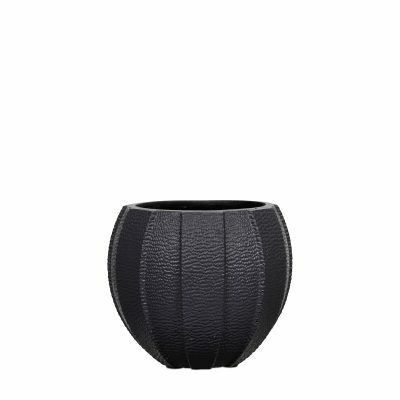 A cosy light corner with white planters, or a few dark anthracite planters for a robuster look. Or place them all together! 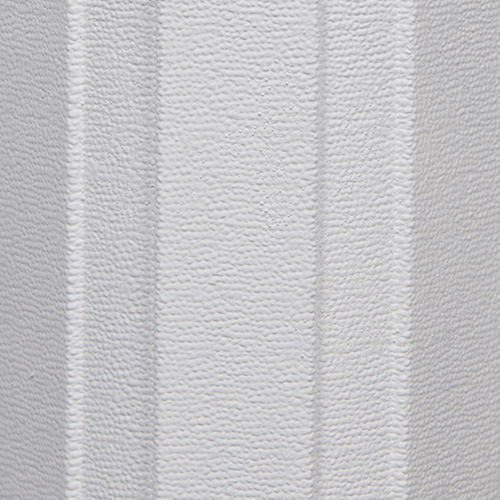 The Lux Arc series is not just a new texture within the Lux collection, but we also added 2 new models this year. Besides introducing new textures and colours we create new products every season based on the last trends. That is why we added these 2 models to the design. 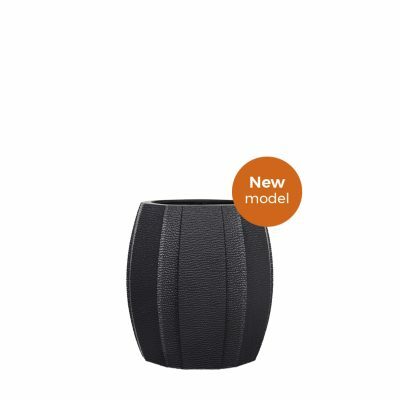 Have a look at the 2 new models below. 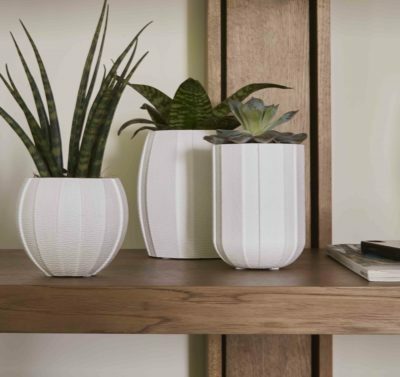 This handmade indoor planter has a smooth and modern design. The texture is inspired by contemporary architecture. 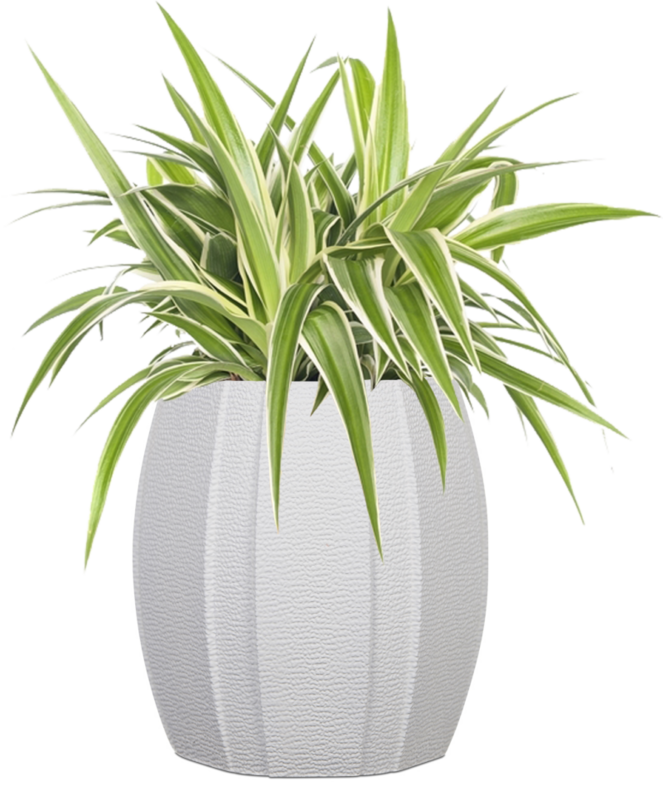 Combined with plants this series will complement the green lifestyle in a stylish way. This texture has broad, vertical lines. These raw lines make these planters a bit futuristic. 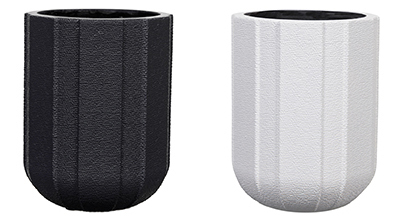 The Lux Arc is available in 5 designs in white and anthracite. 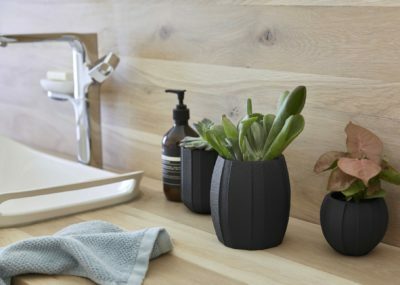 These indoor flowerpots are all handmade and each pot is therefore unique. 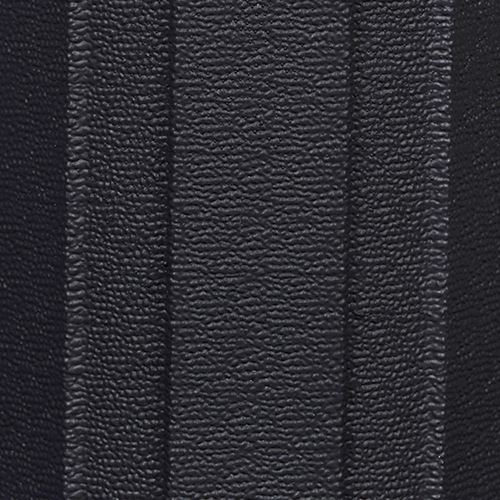 All feature high-quality finishing. 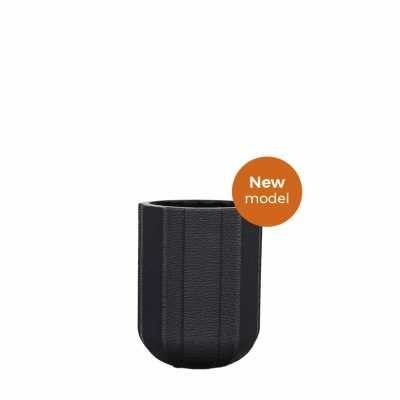 In addition, these pots are extremely lightweight, making them very easy to use. 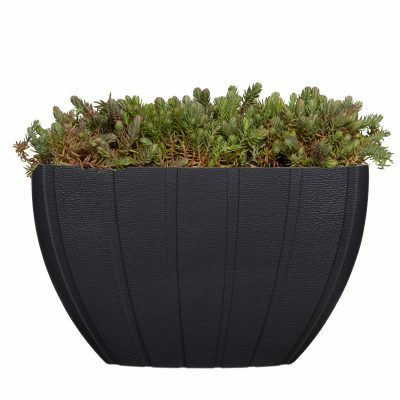 These indoor pots have no drainage holes but are not guaranteed to be 100% watertight. In addition to the Lux Arc, the Lux indoor series features many other patterns, such as the new Stripes and Split models or the classic Heraldry design. This means that you can always find one that suits your taste.